Lynda Kettle was a Production Designer at BBC Pebble Mill, working on factual, entertainment and drama shows in studio and on location. 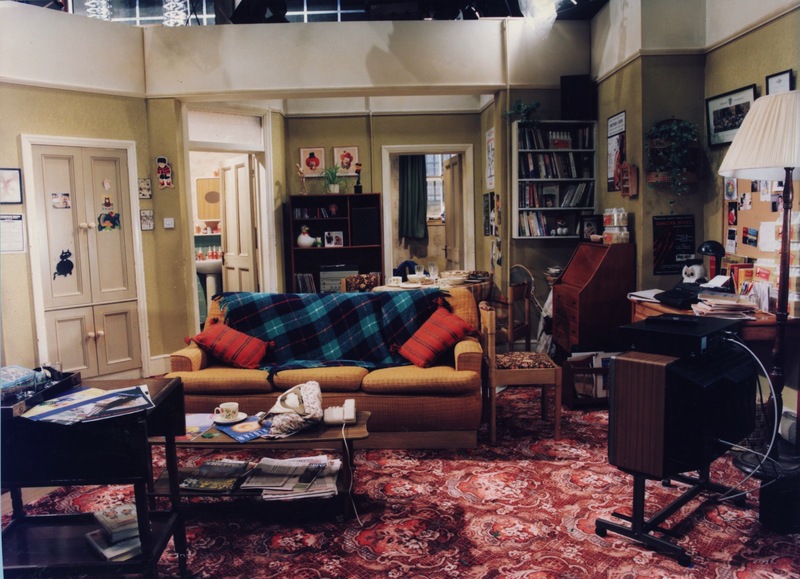 The photos were taken as records of the Sets, and in some you can just see the studio lights over the top of the flats. Previously a Radio 4 comedy, ‘An Actor’s Life for Me’ was a 6 part television drama series recorded in Pebble Mill Studio A and outside broadcast, and transmitted in 1991. The drama starred John Gordon Sinclair, who played Robert Neilson, a struggling actor with an incompetent agent, Desmond, played by Victor Spinetti. Gina McKee played his teacher girlfriend, Sue. Lynn Scott-Farrell played the fourth character, Brenda. The comedy was directed and produced by Bryan Izzard. ‘An Actor’s Life for Me’ was a series hosted at Pebble Mill, but produced out of London.